Alex Wong/Getty ImagesFacebook CEO Mark Zuckerberg is escorted by U.S. Capitol Police as he walks in a hallway prior to a meeting with U.S. Sen. Dianne Feinstein, April 9, 2018 on Capitol Hill. The first hearing kicks off Wednesday at 4:15am AEDT, and Business Insider will be in attendance and covering it live. 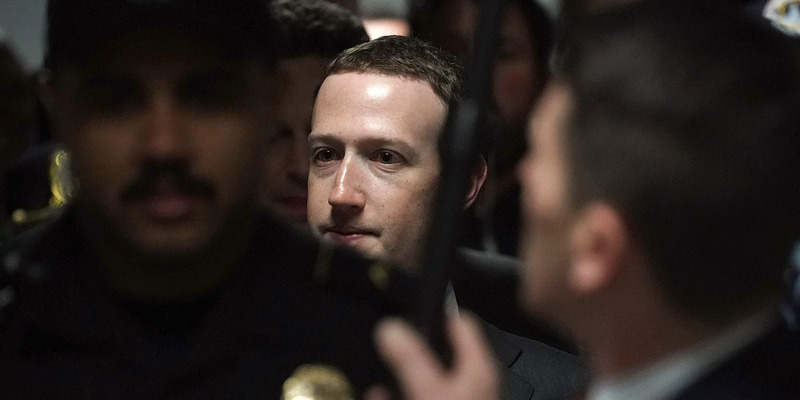 After months of scandals, it’s finally happening: Mark Zuckerberg is testifying. This week, the Facebook CEO will testify in front of American lawmakers twice. On Wednesday, he will appear before a joint hearing of two Senate committees, while on Wednesday the 33-year-old exec will be grilled by a House committee. The hearings come after months of bruising headlines for Facebook. The social network has faced serious scrutiny following the 2016 US presidential election, in which Russian operatives used the platform to peddle fake news and disinformation. And in March, it emerged that Cambridge Analytica, a political research firm used by Trump’s campaign, illicitly obtained the personal data of up to 87 million users. That crisis has since snowballed into a broader scandal over Facebook’s approach to privacy and use of user data, with the controversy heightened by the leak of a memo written by a company exec in which they defended growth at any cost, even if people died (Zuckerberg has since said he strongly disagreed with the memo).